This model is 173 cm and wears a size S. Their chest measures 79 cm and the waist 68 cm. 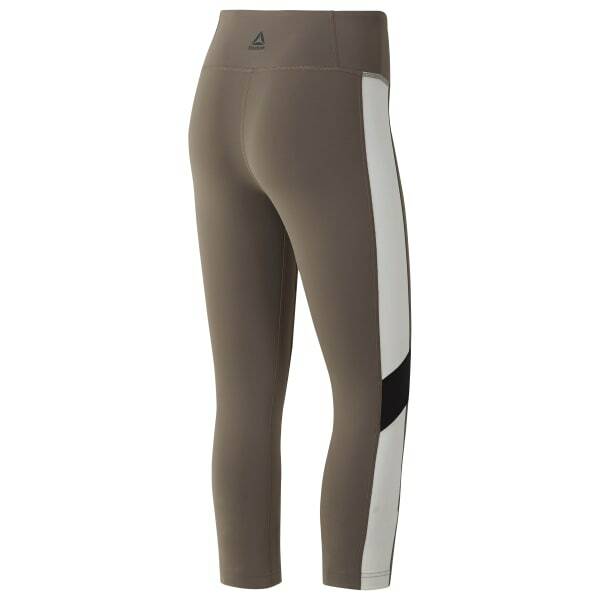 Cut to flatter, we’ve pulled out all the stops in constructing these quality athletic capris. Ergonomic, smooth side seams connect the comfort-enhanced waistband with the wide cuffs. Resilient, shine-free fabric is pieced in an attractive colorblocked design for unique, versatile style.